Should You Take Turmeric or Curcumin? Which is Better? Up till now we have covered a vast number of topics as to how turmeric helps in dealing with various conditions. And if you have gone through most of them, we have been talking mostly about curcumin and its medicinal value. This may give an impression that curcumin is the only beneficial ingredient in turmeric. But is it so ? Is turmeric only about curcumin or is there more to it? What is the difference between turmeric and curcumin? I have tried to answer these questions using research studies in this article. What is the whole issue about turmeric bioavailability? Turmeric is one of the many spices used in India. It is a herb that belongs to the ginger family and is cultivated mainly in Asia. Turmeric plant is relatively 3-5 feet in height, with pointed leaves and yellow flowers . Turmeric’s use as herb dates back to 5000 years ago and it has been documented in traditional medicine systems. The rhizome is cleaned, boiled and dried to give turmeric powder. Turmeric oil is extracted from the rhizome. Both these components have medicinal value. Speaking of medicinal value, turmeric possesses a number of pharmacological properties: anti-inflammatory, analgesic, antioxidant, antispasmodic, antiseptic, anti-allergic, anti-tumor, digestive, stimulant etc. Turmeric oil- This fraction contains a number of compounds that impart aroma to the spice. Turmeric oil is lost in turmeric powder and curcumin extracts we take. Most of the research on turmeric is focussed on curcuminoids and this group is said to be responsible for most of its above mentioned properties. Nonetheless turmeric fractions void of curcuminoids also have biological activity. Apparently 20 molecules in turmeric have antibiotic property, 14 have anti-cancer, 12 are said to have anti-tumor, 12 anti-inflammatory and 10 of them are antioxidants. Astounding right!? Apart from bioactive molecules, the rhizome contains (approx) – 70% carbohydrates, 7% protein, 4% minerals, at least 4% essential oils, vitamins and about 1% resin. Moving to curcumin, we will try and figure out how essential is this compound to turmeric. Curcumin is one of the important components of the group curcuminoids. It is the bioactive ingredient of turmeric. Its structure comprises of aromatic ring structures and hence it is a polyphenol but in lay man terms, it is an antioxidant. The structure was first identified in 1910. Curcumin has anti-inflammatory, immunomodulatory, antimicrobial, chemosensitizing and antioxidant properties. It interferes at genetic and cellular level to cause cell death and prevent cancer cells from proliferating. It acts on many signalling molecules such as proteins, enzymes, drug resistant proteins, pro-inflammatory molecules, drug receptors, DNA, RNA and thus mediates a number of pharmacological actions. One of the most important attributes of curcumin is that it inhibits the activity of a group of proteins called nuclear factor-kappaB. This acts as a switch that regulates inflammation and cancer cell proliferation.
. Curcumin is used as a supplement in several countries, including India, Japan, the US, Thailand, China, Korea, Turkey, South Africa, Nepal, and Pakistan. Naturally, curcumin accounts for around 2-5% of the rhizome’s content. That means large amounts of turmeric powder would be required to obtain an effective and substantial dose of curcumin. This is the principal reason why curcumin supplements are manufactured in the first place. And there is another reason: bioavailability. Bioavailability is a term used to describe how much amount of the component ingested by you is available to the body to cause a pharmacological effect. Natural turmeric powder has low bioavailability- most of the turmeric ingested is not absorbed by the intestines. Curcuminoids do not dissolve in water but they have a high affinity for fats (lipids). This is the crux of the formulation, Meriva which is a patented version of curcumin and soy lecithin designed to increase its bioavailability. There is another interesting patented formula of curcumin designed with the same intention called BCM95. Instead of making use of synthetic agents to increase curcumin’s absorption, this formula contains a combination of ar-tumerone and curcumin. Ar-tumerone is an important constituent of turmeric oil. Tumerones comprise 40-50% of the volatile oil. BCM-95 is 6.93 times more bioavailable curcumin-lecthin-piperine combination. One 400 mg dose of this new bioavailability-enhanced turmeric extract is equivalent to taking 2,772 mg of standard “95%” curcumin extract or 2,548 mg of plant-bound curcumin extract with piperine. This suggests that natural constituents of turmeric root can enhance the absorption of curcumin and these are generally lost in the process of extraction and purification. But should we only see curcumin when we look at turmeric? Let us find out how it fares when compared with the whole turmeric. Let’s now see what research studies talk about when comparing curcumin and turmeric. A study was organised wherein the ethanolic extract of turmeric was compared with curcumin in terms of anti-inflammatory, immunostimulatory and antioxidant activities. Turmeric was found to increase the expression of perforin (a protein that plays an important role in immune responses) and it was twice more effective in initiating the body’s immune responses. Turmeric extract was also more effective in terms of antioxidant property than curcumin, as its percentage inhibition of production of reactive oxygen species was twice that of curcumin. 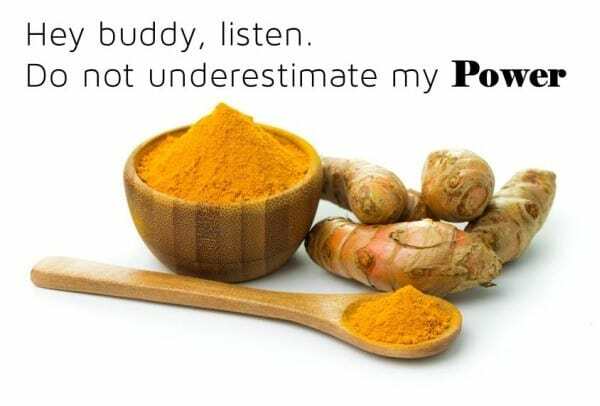 Another study investigating the antioxidant potentials of turmeric extract and curcumin reported that turmeric extract demonstrated more potent antioxidant capacity than curcumin in most experimental tests. Beta-amyloid is a protein that is of importance in Alzheimer’s disease. It forms aggregates in the brain cells, interrupts brain signals and leads to the death of nerve cell and loss of brain function. 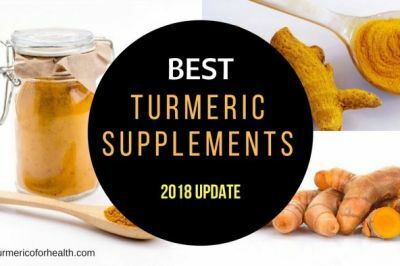 A study was conducted to evaluate inhibition of amyloid beta aggregates by standardized turmeric extracts (basically having everything of turmeric) and just curcuminoids. 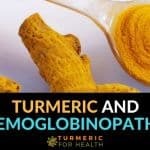 Interestingly none of the curcuminoids were found to be inhibitors of this action while one of the turmeric standardized extracts showed strong inhibition indicating molecules other than curcuminoids found in turmeric could be developed as drugs to treat Alzheimer’s. What does this mean? Research studies prove that turmeric extracts show more efficacy when it comes to pharmacological activities and apart from curcumin, turmeric possesses a number of bioactive molecules that could potentiate the activity of curcumin. Lastly, let us discuss what turmeric minus curcumin can do. This will also help prove that believing that turmeric is just curcumin is a mistake. 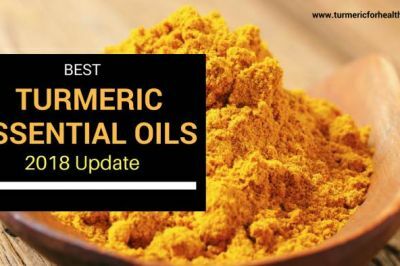 Most of the articles listed to date, mostly focus on the health benefits of turmeric mediated by curcumin. Turmeric and curcumin are thought to be synonymous. Nonetheless, curcumin free fractions also have medicinal value. To understand whether curcumin uniquely exhibits anti-inflammatory property or whether molecules add to this effect, researchers investigated curcumin free turmeric extracts for this activity. 9-10 novel compounds were identified which exhibited anti-inflammatory, anti-cancer, and anti-diabetic properties. Another study compared the anti-inflammatory activity of curcuminoids and oil-free aqueous extract of turmeric to that of curcuminoids and volatile oil. And you must have guessed it……..well yes the aqueous extract that was free of curcuminoids and turmeric oil showed anti-inflammatory action comparable to that of curcuminoids and turmeric oil. So definitely turmeric has a vast array of compounds that exert similar medicinal properties like curcumin. A research study was conducted to evaluate the effect of curcuminoid free turmeric extract on immune responses. This extract showed dual immune function: it stimulated the development of immune responses which is desirable in case of wound healing and infection and it also suppressed inflammation which is beneficial in case of diseases like arthritis. Curcuminoid free fractions can help in controlling pain and immune responses. You will be surprised to know this – spent turmeric oleoresin is an industrial waste resulting from completion of extraction process of turmeric curcuminoids. Research proves that even this fraction of turmeric possesses strong antioxidant potential suggesting its use as a natural antioxidant and preservative. Turmeric oil consists mainly of volatile compounds devoid of curcuminoids. It is good for brain health. It has anti-inflammatory and analgesic properties. It is helpful in treating diabetes. It prevents the development of cancer and mutations. This is also one of the reasons why I believe fresh turmeric is better than even powdered turmeric as it does not have turmeric oil in it. Aromatic turmerone shows therapeutic properties in relation to neurological diseases and depression. Turmerin aids in lowering blood glucose. Germacrone reverses drug resistance in breast cancer and also has an anti-tumor effect. Elemene is found to help in treating stomach cancer. Furanodiene, curdione and bisacurone demonstrate anti-cancer activity. Based on the research and scientific evidence we have covered, we would suggest that turmeric is superior to standalone curcumin. Yet there are certain conditions such as cancer where curcumin supplements may work better. On the other hand, in case of arthritis induced inflammation or burns it would be advisable to take turmeric as whole or apply its paste. Further, if you intend to take to boost your immunity, we would advise natural turmeric and pepper combination. Most important point here according to me is development of immunity. Development of immunity is key to prevent any future disorders. Turmeric can do it better. Thus turmeric can have far reaching effects on health than just curcumin. 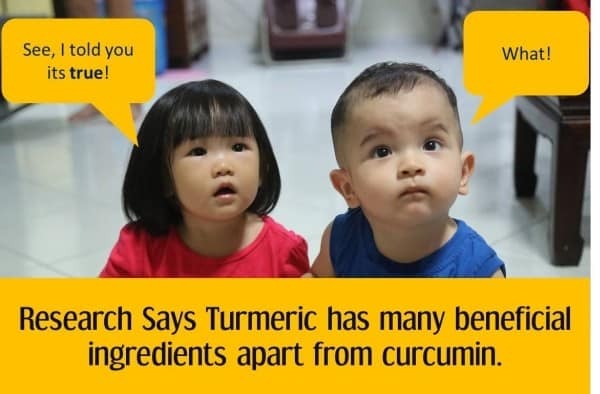 I am sure after reading all the arguments, you will be convinced that turmeric is much more than just curcumin and thus it is best to take turmeric and not curcumin (except maybe in certain cases). Hope you will start including turmeric in your diet from today! Referring to extracts of Tumeric, does this include the aromatic compounds found in the essential oil of Tumeric? Is this article comparing Curcumin supplements to Turmeric Oil (aromatic compounds) ? Grateful for your response and your time invested in researching and educating. Hi Kristine. This article compares the benefits of whole turmeric root (containing curcumin, curcuminoids, aromatic compounds, and other active components) with curcumin supplements. Hope this helps. Hello, my daughter is 15 and has been diagnosed with thyroid cancer and lung cancer. What is much beneficial for this type of cancers and how much? do you have any specific brand that works better? Thank you for your help in advance. Please consult a health practitioner before initiating therapy with curcumin supplements. Hope this helps. Let us know in case of any doubts. Would taking curcumin tablets as well turmeric tablets be more effective? (I prefer taking the tablet forms of supplements.) I am already taking double strength curcumin tablets with black pepper-bioperine for arthritis. In spite of my daily intake of these curcumin tablets I still suffer from frequent bouts of inflammation. Also, check whether the supplement you are taking contains standardized 95% curcumin. Hi I have a Pterygium which is nearly to the pupil. I am a candidate for having the grafting done but heard that Curcumin could stop growth so I could avoid surgery ?? Which one is best. I am taking Fusion Bio enhanced Curcumin Advanced ?? Hi. Yes pre-clinical studies do show that curcumin can stop pterygium progression. You can opt for a standardized 95% curcumin with bioperine supplement. We have not verified the supplement you have mentioned, but a quick look does show that it contains these ingredients along with boswellia serrata and ginger (natural anti-inflammatory agents). Please consult your health practitioner before taking the supplements. Hi myself Ripunjoy and I have proctitis . Now I am under steroid and taking anti inflammatory drugs. Should I take raw termeric or Curcumin? Please suggest. Hi. Turmeric helps relieve inflammation. You can take Golden Paste. Start with small doses such as 1/4-1/2 tsp and if you see no side effects then increase the dose gradually to 1 tsp 2-3 times a day over a few weeks. Best taken with food to avoid acid reflux. Avoid taking it at the same time when you take meds. Thanks for the reply. In my home turmeric root is available. Should I able to prepare the golden paste directly from the root ? Is it necessary to add peper ? Hi, I’m wondering which is better for me. I have RRMS. Thinking Curcumin, what are your thoughts? Hi Liz. You are right, curcumin supplements would benefit in RRMS. If possible you can consider including turmeric powder in your diet. I was wondering if the powdered spice, tumeric, has any benefits? Specifically, could a tablespoon of tumeric with 1/2 teaspoon of pepper, have any of the same benefits as extracts? Turmeric powder has more to offer than just curcumin and yes it does have many benefits such as anti-inflammatory, anti-microbial, anti-oxidant, gastroprotective, wound healing etc. 1 tablespoon of turmeric with 1/2 tsp of black powder taken daily after or with meals will benefit your health unless you are looking forward to treating any chronic condition. In that case you may need higher doses or supplements. I was wondering if I can take aspirin 81mg, can I take Mervia Curcumin?? Hi. RE: Commercial Curcumin food colors. I have access to two natural commercial curcumin food colors, used in the food industry to color processed foods. One is a water soluble 95% curcumin powder and the other is a 10% curcumin oil soluble liquid. Is the curcumin in these food colors bioactive? Would there be a difference between the water soluble powder and the oil? Would they be safe and effective to use in cooking and smoothies to get adequate dose of bioactive curcumin? Im just learning about all the results you can have by taking tumeric in its differents presentations, I read in your article that its good for brain health, I wonder wich of these presentations its good for a person who has a severe TBI, and its struggling whith memory. Thanks a lot! I’m looking to get Turmeric/Curcumin supplements for my mother who has been diagnosed with Early Onset Dementia with Alzheimer’s. Do you know whether Curcumin or an all-round Turmeric supplement would be more effective for a case like this? I’m also looking at getting liquids as they are considered to absorb more effectively than tablets and capsules (combined with pepper and coconut oil) – does this apply for turmeric supplements too? Otherwise, do you have any suggestions for what has worked well for others with Alzheimer’s? Thanks! Hi. We would suggest curcumin supplements and dietary inclusion of turmeric powder for Alzheimer’s. You could consider the Longvida formulation of curcumin. 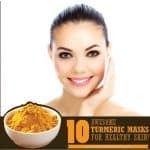 Including turmeric in diet as Golden Paste or Golden milk of even turmeric tea can provide additional beneficial compounds present in turmeric. We do not have significant data to comment on the absorption of liquid formulation in comparison with capsules and tablets. Hope this helps. What will be useful in Blood Cancer…Raw turmeric or curcumin ? And how much? How do you measure grams, I use the organic turmeric in my eggs. Hi. 1 teaspoon of turmeric powder should be approximately 2g or 2000mg. In the treatment of lung cancer, what would you recommend: raw turmeric, turmeric powder, supplements, or extract? For lung cancer we would recommend curcumin supplements and turmeric (powder or raw) in diet. Anand P, Sundaram C, Jhurani S, Kunnumakkara AB, Aggarwal BB. Curcumin and cancer: an ‘‘old-age’’ disease with an ‘‘age-old’’ solution. Cancer Lett 2008;267:133–64. Which one, Turmeric or circumin for stomach inflammation? Im confused, In the article it says that you cant get theraprutic results from typical consumption of turmeric root? Is it possible to see results with 3 grams a day? How will I know if it is too much? How long will it take for me to notice an effect? Is it okay for me to eat 2 grams of straight up turmeric root twice a day? How will I know if I have taken too much. This would be better than taking turmeric root directly for managing Crohns. Also when you plan to consume fresh roots, 1-2 g or a small 1/2 inch piece once a day is sufficient and safe. Increase the amount gradually to avoid any gastric side effects. It is advisable to start with small doses so that it is easier for the stomach to tolerate and digest. Hi my mother sent me turmenic with gynura procumbens and other ingredients such us ginger, peppermint, sambong, banaba,pandan,lagundi,lemongrass,malunggay,brown sugar and wild honey in it which I’m not really familiar with. It’s not like I do not trust my mother but is this safe to take with all this mixtures in it? Hi. We have not come across any evidence about turmeric with most of the ingredients mentioned. It would be better if scientific names are mentioned. Please consult a herbalist about the combination of turmeric with these herbs. 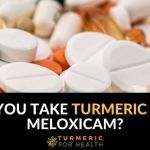 Hello as I have an Oxalate problem and turmeric is high on oxalate, I need to take curcumin – what kind would be the best for rheumatic arthritis symptoms and antioxidant effects? Black Pepper is also high oxalate. How about Pepperine combined with curcumin? Is turmeric oil also high in oxalate? H. Yes turmeric as a spice is high in oxalates. You can take curcumin with piperine/bioperine supplements. Opt for standardized 95% curcumin with bioperine supplements. These will help boost antioxidant defense and relieve rheumatoid arthritis symptoms. We will be soon publishing a post on the best brands of curcumin-piperine combination so please do check that out; we will inform you as well. Also turmeric oil does not contain oxalates. Great information. Thanks for your effort and wisdom. Thank you for your feedback, Allan! I’m taking 1200mg’s of turmeric root extract with 100mg’s of 95% curcuminoids and 20mg’s of bioperine. Am I getting enough of the right dosage for arthiritis joint pain? Other supplements seem to be high on the curcuminoid side. Hi. 1200mg is a fairly high dose and should help since it contains both turmeric extract and curcumin. Also piperine helps with the absorption. Most studies on turmeric and arthritis use a dose of 1000mg standardized 95% curcuminoids. But since your supplement has both turmeric and curcumin , it should still benefit at the dose you are taking. How long have you been taking the supplements and has it helped reduce the pain? Great article but I’m still confused. I read elsewhere that curcumin is good to increase platelets as acts like a steriod. I haven’t had a normal platelet count since March17 so are in and out of hospital and rounds of steriods. I am taking 1-2 Curcu-Gel BCM95 650mg but it is not helping the platelet count. Do you have any advice on what I can try next? I Often make a Turmeric ginger tincture. how does this compare with turmeric pills, capsules etc? Its My belief It is much stronger, easily absorbed through the roof of the mouth and tongue, And because I make it myself I,m guaranteed freshness and quality , and size of my dose. I usually take 30 drops onto my tongue or in a glass of water.when ever l feel a need , or have an issue . I do not take it as a supplement of daily. My mix is around 65% turmeric 30% ginger 5% black pepper. left in vodka for 6 to 7 .weeks. I then filter the residue . Hi. There has been no study that compares the alcohol extract with supplement formulation of curcumin which indicate which is more effective; so it would be hard to comment on that. Alcohol extract would include more than just curcumin and curcuminoids while supplements have only the curcuminoid fraction of turmeric. Also the absorption may seem better in case of alcohol extract. But in case of conditions that require higher doses of curcumin, curcumin supplements seem more beneficial. About making turmeric tincture at home, certain experts warn again this. The reason being that one should correct proportions of herb and alcohol and also the mother tincture should be diluted to correct potency. Please consult a herbalist about this. Lots of comments about taking turmeric powder with black pepper and fats to enhance its absorption. but wait a minute. Why not just eat a curry. Then you get the benefit of ginger as well. Hi. Absolutely dietary turmeric such as that include in curries is the best way of getting daily dose of turmeric for health. And yes you get added benefits of other spices as well. Hi there, I use X 2 tablets Wagner Bio-Curcumin with Meriva complex 550mg per day for prevention of relapse with Ulcerative Colitis. My gastroenterologist wasn’t able to provide any guidance in brand/type of curcumin supplement. Am I wasting my money? Would Golden Paste be as effective? Or for this specific condition would you recommend continuing with my current supplement dose? Thank you for your help!! 1000mg of Meriva is equivalent to 200mg curcumin but since it is better absorbed this dose (2 tablets a day 550mg each) may suffice. Whether Golden Paste would be equally effective depends on the severity of your condition and your body’s response to it. Some people do fine on Golden Paste while some feel better on supplements. If your doctor has approved use of turmeric for ulcerative colitis, please continue the current dose and observe for at least 2 weeks to identify any benefits. In case you have any other doubts, do let us know. I know you guys don’t promote turmeric supplements. But could I take turmeric supplements and be okay? Hi. 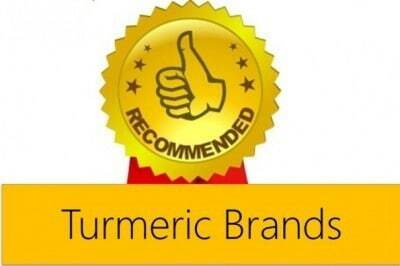 Yes good quality turmeric supplements are safe for health. 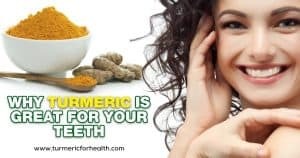 We insist on natural turmeric for it has more to offer than turmeric supplements, but yes you can take turmeric supplements after consulting a health practitioner. Hi. 1200mg curcumin twice a day is a fairly high dosage and you should experience benefits on it. We would suggest cutting down on the dosage and taking only one per day, preferably after meals to enhance absorption. You may consult a health practitioner about this as well. You can take dietary turmeric as Golden Paste. Start with small doses such as 1/4-1/2 tsp and if you see no side effects then increase the dose gradually to 1 tsp 2-3 times a day over a few weeks. Best taken with food to avoid acid reflux. Avoid taking it at the same time when you take meds. Thank you for your reply, can you advise which is more beneficial, curcumin or the tumeric paste or can I take both is I cut down to 1 curcumin tablet a day? Yes it is safe to take both. Turmeric has more than just curcumin which is why we prefer it over supplements. But it depends on your needs as to what you should take. You can take both. Start with small doses of golden paste say 1/4-1/2 tsp a day and increase gradually to 1-2 times a day. This should help. I have found that it is fairly simple to order organic Turmeric rhizoids via the Internet. The cost of four pounds of fresh rhizoids is generally less than $30. I add chopped fresh rhizoids to my morning smoothie (which also includes freshly ground black pepper). I also make a gallon of green tea each morning that I drink during the day that is steeped with both fresh organic ginger and fresh turmeric rhizoids. When my rheumatologist claimed there was really nothing I could do to reverse (or even slow down) my advanced arthritis, I searched everything I could find about reducing inflammation in my body. So, in addition to turmeric rhizoids, I also add minced fresh organic ginger, the inner filet of Aloe Vera and organic flax seeds and chia seeds (hand ground) to my daily smoothie of wild Maine blueberries. I also limit gluten, processed foods, refined sugar, and dairy, and I am not concerned with exactly how this is all working together to reduce the inflammation in my joints, but I do seem to be proving my doctor to be completely wrong. Hi. Thank you for your feedback. Indeed incorporating various foods in diet especially natural anti-inflammatory agents can help manage arthritis and control it to a great extent. Wish you great health! limited processed foods and dairy. I also take an aloe supplement called Autoimmune-X from DigestaCure. My rheumatologist still can’t figure out why my blood markers are all in the normal to better range from where they used to be. Hi. Curcumin does prevent metastasis. Please consult your health practitioner before taking turmeric supplemenst. Hi. Curcumin does help in autoimmune conditions and can benefit in multiple sclerosis. Fresh turmeric has a blend of both natural oils and curcumin as well as other beneficial compounds. You can take Golden Paste. Start with small doses such as 1/4-1/2 tsp and if you see no side effects then increase the dose gradually to 1-2 tsp 2-3 times a day over a few weeks. Best taken with food to avoid acid reflux. Avoid taking it at the same time when you take meds. BCM-95 is a formulation of curcumin that combines curcumin and turmeric oil as a supplement. Please consult a health practitioner before taking turmeric supplement. Hi. 1600mg per day is a fairly high dose. For supplements a safe and generally advised dose is 1000mg. You can take Golden Paste. I just wondering whats your thoughts on use theses tablets? Hi. Please check if it is standardized 95% curcumin. Also 1400mg per day would be a fairly high dose unless it is for a specific condition. Thank you very much for very informative article about turmeric and curcumin. My sister have got stomachache and myself got Hepatitis B, could you please recommend us whether we should take whole turmeric or curcumin? For your sister it is first necessary to identify the cause behind the stomach ache. 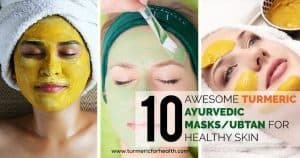 She can still consider whole turmeric powder as add-on therapy in the form of Golden Paste. Start with small doses such as 1/4-1/2 tsp and if you see no side effects then increase the dose gradually to 1-2 tsp 2-3 times a day over a few weeks. Best taken with food to avoid acid reflux. Avoid taking it at the same time when you take other meds. You can also take Golden Paste but you may require curcumin supplements also to treat and control the infection. Please consult a health practitioner before taking supplements. For lower or upper back pain (6 years) do you recommend Tumeric or Curcumin with bioPerine? For back pain we would recommend turmeric as Golden Paste. However this depends on the severity of the pain. If you do not observe any difference with this within a week or two at the dose of 1 tsp you can consult a health practitioner about curcumin supplements. Very helpful article. Question: Have had a staph infection for over 6 months (spots just keep popping up) went through 2 rounds of antibiotics. It’s not MRSA, but can’t get rid of it. A lot of articles online talk about taking tumeric or curcumin or 95% curcumonoid for staph. 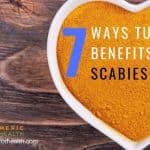 There seems to be different opinions on which is best for staph and what amounts to take AND if it should be taken in conjunction with something else like garlic or antibiotics, etc. Check out ASEA redox signaling molecules and or gallium nitrate. Hi Brian. We generally recommend whole turmeric for almost any condition including infections. This is because turmeric has more than just curcumin. 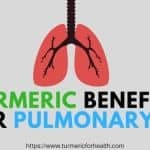 However if it is a chronic condition and does not respond to dietary turmeric then you can consult your doctor about turmeric supplements standardized 95% curcumin extract with bioperine. Avoid taking Golden Paste and turmeric supplements at the same time as antibiotics, maintain a 3-4 hour gap. Dietary turmeric can be combined with other spices such as garlic and cinnamon. 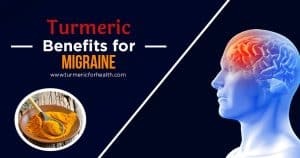 I have been putting turmeric in my morning shakes to help with Arthritis pain, am now off my meds for this, and have just learned about making a drink at night using the turmeric, to help me sleep. I did this last night and slept really well. My question is, if it helps with sleep should I be consuming it in the morning as well, would it contribute to my being drowsy in the day? Also, can I use the already ground pepper from the store or do I need to use peppercorns and grate them myself. for use with the turmeric? Aren’t the two the same? ….and how much pepper should I be using?, I put approx 1 heaping tsp of turmeric in my shake in the a.m.~~Thank you. Hi Anna. Many users have reported that turmeric helps with sleep but turmeric will not cause drowsiness in any case. So you can consume it in the morning. We recommend freshly ground black pepper so that the piperine, its active ingredient which is volatile is not lost. So pepper that has been stored could have lesser piperine content. For 1 tsp of turmeric 1/4 tsp of ground black pepper should suffice. Hi, I’m Robert and I’m 62, live in Thailand and work as a kindergarten teacher. For years I would get flu and colds from my kids. Many would travel all over the world during the holidays and bring back all sorts of viruses. About 1 1/2 years ago I started buying the root and chopping it up and making a tea from it. Very quickly after I noticed that I was no longer catching the colds the kids were coughing all over me. I will give a huge thumbs up for Turmeric. I would never use the products sold in shops that are processed because as we should all know the moment companies start processing the herb they destroy the active ingredients and give us dead food and supplements. I am startng to grow my own and should have plenty later this year. Here in Thailand it grows almost like a weed and will spread. Thanks for the great article. Thank you for your feedback Robert. Turmeric indeed boosts immunity. Its great to hear that you will be growing your own turmeric soon. My wife has too much pain in her right posterior thigh muscle and calf muscle while walking with the result her walking has almost stopped since past two months or so. Will it go off by taking turmeric ? Is Turmerynne also good for arthritis? Turmeric is great for arthritis. This might help you. Turmeric works as a natural painkiller and will definitely help in reducing the pain. But its best to consult a doctor as to why she is facing such pain in the first place. Please get a proper diagnosis done for the cause of the pain. She can take Golden Paste. Start with small doses such as 1/4-1/2 tsp and if you see no side effects then increase the dose gradually to 1-2 tsp 2-3 times a day over a few weeks. Best taken with food to avoid acid reflux. Avoid taking it at the same time when you take other meds. I have a family history of Alzheimers and cancer. Through genetic testing have just discovered a variance in pten gene. What form would you suggest for preventative supplementation? Typically 1 tsp of turmeric powder/day when taken with black pepper and oil should work as a preventive dose. But start with small doses. You can opt for the Golden Paste. Start with 1/4 tsp and increase the dose to 1-2 tsp 2-3 times a day or how it suits you. Take it with or after meals. In case of supplements it is best to consult a doctor for the dose. Thank you for your article. From another source I had learned to address anti-inflammatory issues with Turmeric and Cayenne pepper instead of black pepper as part of a treatment for systemic Candidiasis. Using Cayenne pepper with Turmeric seems a bit incongruous to me, so reading about using Turmeric with black pepper was encouraging. I need the anti-inflammatory properties to address digestive issues and for brain function (clear thinking). The Turmeric I have is the organic powdered spice type. What would you recommend for both digestive support and clear thinking support with regard to Turmeric? 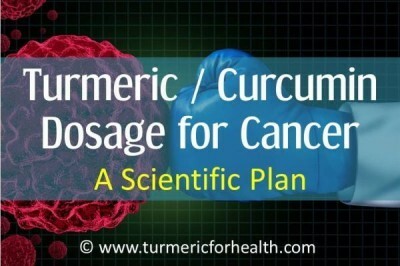 Is there a preventive “dose” of Turmeric that can be used as a prophylactic against cancer? (Cancer runs in my family, including me, although mine was only a carcinoma, not a melanoma.) I am rather new to all of this and would greatly appreciate detailed directions. Primarily we would recommend turmeric in diet. A therapeutic way of taking turmeric which involves black pepper and oil for absorption is Golden Paste. Start with 1/4-1/2 tsp a day and increase gradually to 1-2 tsp 2-3 times a day or how it suits you. Best taken with meals to avoid chances of reflux. Many readers have reported clear thinking as a add-on benefit of taking Golden Paste when they actually took it to control inflammation in the first place. It will also help with the digestive issues. 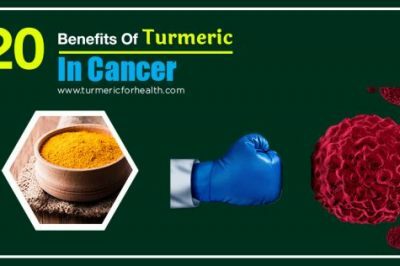 Dietary turmeric works as a preventive dose for cancer which would mean 1 teaspoon a day or 4-5 g of organic turmeric powder. What about juicing turmeric roots, any recommendations on amounts. I usually take a small handfuls, one pineapple, key lime, small piece of Ginger and juice it in my Omega juicer. Started growing it last year and had great success. This year it came back on its own have around 40 plants. Yes you can definitely juice turmeric. For fresh roots the recommended intake is around 1-3g which would be close to an inch long piece or so… but that again depends on your tolerance you can include slightly less or more. what turmeric should i take ? the turmeric spice in the spice bottle or get the root and grind it ? Which is better for nerve health? Neurological health? Any specific brands you recommend? It depends on what condition you are taking it for. Most studies investigating role of turmeric in nerve health use curcumin. My husband has Parkinsons. Will tumeric benefit him at all? Research has identified curcumin as a potential protective agent in Parkinsons. So yes, Christine it can help help your husband. 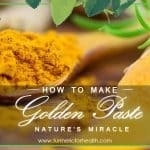 You can start with dietary turmeric as Golden Paste: https://www.turmericforhealth.com/turmeric-recipes/how-to-make-turmeric-paste-or-golden-paste The dose would be 1-2 teaspoons once or twice a day based on what suits him. Hi Thanks for your great article!….when you say turmeric performs better than curcumin….is this pound for pound?..also im taking raw turmeric how much is recommended for a healthy male? Turmeric has volatile oils and other compounds that strengthen curcumin’s activity and absorption. The strength would definitely differ based on the dose. However the idea is that whole turmeric is more beneficial than curcumin in less chronic diseases or for overall health. Fresh roots are recommended at a dose of 1.5-3g. To increase the bioavailability of turmeric, will it help if black pepper powder be mixed with turmeric powder or the rhizome.before consumption. If yes then what should be the ratio. Yes you can mix black pepper with turmeric powder for better absorption. There is no specific ratio but if you are taking 1 teaspoon of turmeric powder 1/4 teaspoon of black pepper should help. Take this with meals for better absorption. I have posterior tibial tendon dysfunction on my left foot (inflammation of tendon near ankle) – health shop told me to take solgar full spectrum curcumin 185x for the inflammation. After this dosage I would rather take the natural product – which is best? turmeric or zedoary or something else? I am Indian so don’t mind making tea, chutney with these. The turmeric you should opt for is Curcuma longa not zedoary. It has an orange yellow color on the inside. You could include it fresh in salads. Or for the inflammation you could take Golden Paste. This has black pepper and fats which increases absorption of curcumin, active ingredient of turmeric. The dose starts with 1/2 a teaspoon a day and you can increase the dose to 1-2 teaspoon 2-3 times a day or how it suits you. This information is very interesting! My question is what brand of turmeric is best and do you take regular black pepper with each pill? What about the turmeric oil? Do you take one or the other? It looks like Cucurmin is taken when cancer is present? 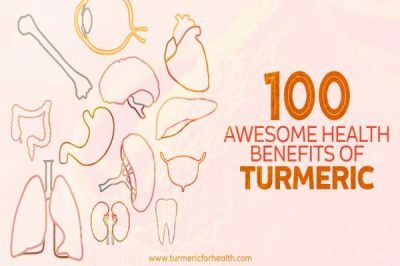 You can find details about good brands of turmeric here: http://www.turmericforhealth.com Fresh turmeric roots and even powder have a fair percentage of curcumin and oils which suffices if taken at proper doses. We recommend taking Golden Paste over supplements since dietary turmeric is not likely to cause side effects and supplements shouldn’t be taken over long term. Turmeric supplements generally come with black pepper’s active ingredient piperine so you don’t have to take black pepper additionally. Kindly advise me I am new to the subject on use of Tuemeric in medicine. My son has developed germecell tumor and was on 5 cycles of chemotherapy. After this the surgeons removed his right testes (the origin of the tumor) and also his right kidney . The also tried to remove the retro peritoneal lymph node (as big as 16 cms), but could succeed only removing to an extent of 70% only!!. The reaming could not be removed as it has encapsulated the abdomen aoata! 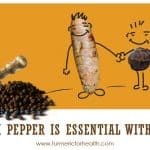 One physician at Bangalore (india) advised me to administer to my son 1 teaspoon of turmeric + 1/8 spoon of black pepper twice daily after food (boiled with water). 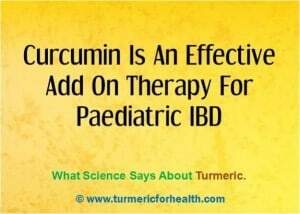 Can some one educate me further on use of turmeric on tumours please. I will be ever grateful to them. Turmeric and its active ingredient curcumin has excellent anti-cancer and anti-tumor properties. It can shrink tumors and prevent recurrence. Turmeric needs to be taken with black pepper to ensure better absorption of curcumin. I have been taking medications for depression for more than three years. I put on lot of weight from the side effects of the medicine. I had relapses at least 3 times. And each time I see the doctor he kept changing the medicine. He also told me that this is the life long condition and he can only suppress the problem. I had the opportunity to meet a Siddha doctor and he promised me that it can be cured and gave me brahmi, gotu kola and ashvagantha for the past 18 months to take. He is monitoring my progress. I have also started reading more about herbs and supplements. I asked the doctor to face out his medicines as it was not helping me to function well. In addition to the herbs I started to take NAC, magnesium glycinate, omega 3 ( 2000) gm, B complex and other herbs for sleeping. I started feeling better and I am still taking these supplements. When I came across Tumeric I started reading more about it and I have started to take Tumeric for the last three months. My mood and stress have improved. For sleeping I take milk with turmeric, dry ginger, nutmeg and kas kas. I would like to get your advice how long I should continue taking the tumeric or can I take for long time. Zinc will also be a helpful vitamin for moods. It may also be worth a look at increasing this in ur diet. I love turmeric and am also still unaware of the length of time that is recommended. Turmeric in diet can be safely taken for long periods but this is not the case for supplements You can take the Golden Paste daily. Start with 1/4 to 12 tsp a day and gradually raise the dose to 1-2 tsp 2-3 times a day. Just a quick note, am sorry to hear about your diagnosis but check out TY BOLLINGER he has been showing QUEST for Cancer this has opened my eyes and I will never have chemo or radiotherapy, and woe what an eye opener these programmes have been. We recommend that you take the golden paste, starting with 1/2 tsp a day and increasing to 1-2 tsp 2-3 times a day or how it suits you. But for the cancer you may need to take turmeric supplements. You can consult a doctor about this. I have osteo arthritis in my hip and lower back, (recenntly diagnosed), im taking Optim Curcuma 80 mg daily capsules , but after reading your article I think in on the wrong stuff. Turmeric capsules do help in arthritis. There is nothing wrong with them and they can actually help if you have severe pain and inflammation. 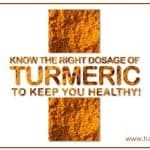 However for conditions like arthritis many people have experienced relief with turmeric paste and since turmeric has more than curcumin we always prefer turmeric in diet. Hi, I appreciate your site and the knowledge it imparts. I have been taking the Starwest organic turmeric powder and the black ground pepper recommended here for about a month. For my scalp psoriasis and arthritis. I had been taking the turmeric bomb recipe with cold pressed organic coconut oil. Now I have started filling my own 00 size vegetarian capsules with turmeric and black ground pepper. About 1 Tablespoon of pepper to 3 tablespoons of turmeric powder combination. Much easier for me to be consistent. About 3 to 5 capsules a day. The capsules hold @ 500 to 700 mg each. My question- it is my understanding some of the non curcuminoid components and oils are lost when taking the powder instead of the whole root. Growing turmeric northeast coast of USA seems problematic without a greenhouse. I have invested in a bottle of Panseeda Black Cumin oil produced by Activation products. It is organic, extracted without chemicals, non GMO, using Zero Press technology. And bottled in a medicinal grade black bottle to prevent spoilage. Doesn’t taste so good to drink but ok for salads and such. Is black oil taken from or related to cumin? It is labeled Black Cumin. I have had marginal results for my psoriasis and also some positive results for arthritis. Applying golden paste is problematic as the psoriasis is on my scalp under my hair. Am I missing something by taking just cumin powder and pepper instead of the whole root? If so, any suggestions on how to grow or obtain the equivalent of the whole root? As far as curcumin supplements go, I would prefer to avoid soy based mixtures but still wonder if adding curcumin along with turmeric would benefit my psoriasis and stop my immune system from attacking my body. And of course, reduce inflammation. Thank you so much! Black cumin is different from curcumin. black cumin oil is obtained from nigella sativa seeds. Yes the oil component in fresh root is lost to a certain extent when taking the powder. In that case you can buy whole roots and juice them or grate them on salads. 1-3g of fresh root is fine. Certain supplements such as BCM-95 contain both curcumin and oils but these should be taken only when advised by the doctor. For your your information I am a farmer of organic turmeric,from KERALA. Great, God bless you! Thanks. So happy to have found this site! I started having horrible knee pain last year at the age of 67. I had read about golden milk online and decided to try it. I started drinking 2 cups daily and within one week my pain was tolerable, within 2 weeks it was gone. I never went to a Dr. about it figuring it was arthritic in origin. After the pain subsided I stopped taking the golden milk. 6 mo or longer pain returned, I heard about terry naturals curamin supplements, extra strength with BCM-95, TURMERIC(RHIZOME),(CURCUMA LONGA), 95% CURCUMINOIDS) (CURCUMIN C3 COMPLEX), olive leaf extract,(20% oleuropein), Black pepper(fruit) extract(95%piperine) (bioPerine). Directions said to take 3 a day, and read online 4 could be taken. I decided to try this instead of the golden milk altho I also read online with my research that many companies were producing these turmeric supplements and being over the counter no regulations to assure ingredients as stated on the labels. “Terry Naturally” Extra Strength Curamin had highest consumer reviews, so I bought a 46$ bottle of 80 pills. It was great in that within 2 days pain was gone!!! Maintenance for health dose after pain subsides recommended 1 a day or to switch to their lower dosage one that they make. When I finished the bottle I decided to try “YouTheory” supplement without bcm-95 but similar other ingredients and much cheaper, good reviews, 26$ a bottle at Costco. Could tell right away that not as strong as the Terry Natural, because I fell and hurt my back and You Theory pain relief only lasted 3 hrs. 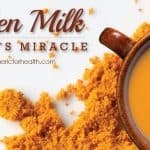 So now I’m back to 2 cups of golden milk daily and that’s working using organic powdered turmeric. Would rather stay on Terry Natural but cant afford it! Turmeric supplements are not advised over long time period. It is best to stick to dietary turmeric. Its great to hear that turmeric works for your pain. Dietary turmeric would not cause any problems with kidney stones if taken at low doses since the spice has high oxalate content. If advised by the doctor you can use turmeric supplements. Curcumin in turmeric can help people who have a tendency to develop kidney stones as it may help in preventing them. So turmeric supplements can help in kidney stones or eliminating pain in gout without the oxalate risk. Limited dietary turmeric can benefit overall health. I have started on 1 tspn turmeric, dash of black paper and 2tspn coconut oil steeped for 10min in boiling cup of water 2 times a day. Is this too much? I take it on empty stomach too. Do I take it like this or with food? For how long should I take it? 3 days now. Very anxious! ! It is best to take this mixture with meals. The dose is fine unless you are facing any side effects in which case you should start with low doses and gradually increase. You can take it for life or till you see benefits- 1 month is a safe time span to observe benefits. I have a personal experience with turmeric. I had a low back injury (1992) I lived with pain for many years. I had learnt to live with pain and was also consuming NSAID mainly Brufen. I developed a small ulcer (2005) on my stomach wall. a friend adviced turmeric. So I stated drinking turmeric in milk – a teaspoon of pure turmeric in 200 ml of milk. I took it in place of my bed tea on empty stomach. I continued it for 2 months and I found that the ulcer vanished. But I also found that the back pain lessened a lot. But I let it go at that. Later the pains surfaced again; This time (2011)m I took it for 3 months regularly and the pain went permanently. Though the back problem is there – there is no remedy to it – but I don’t live in pain. Glad to know that turmeric works for you. You can include it in diet regularly. No turmeric doesnt cause constipation, instead it may help regularize your bowel movements and improve digestion. Turmeric does help in lowering blood pressure but only in those who suffer from hypertension. Turmeric is a miraculous spice and works on different aspects on the body and mostly on those that are suffering from ailment. In Asian countries turmeric is consumed regularly in diet irrespective of what one’s blood pressure level is and it is not found to lower blood pressure in healthy individuals. Maria. Omega 3 fish oil is also beneficial for brain function, (the vegetarian equivalent being flax/linseed oil). Aloe Vera capsules are also reputed to work. For brain function you would want in your Omega 3’s DHA and EPA. Flax seed has ALA, not DHA and EPA for Omega 3’s. The human body can only convert 10-15% of the ALA to DHA, and some people can’t even do that. Best if you need DHA and are vegetarian to get it from kelp, that’s where fish get their DHA EPA from, that in turn we extract from fish. The company Deva makes vegan DHA/EPA or plain DHA gel capsules. MayaNikko, I am not expert but based on what I have read (testimonials of pet owners) turmeric should be your choice. The amount (mg) of turmeric depends on the weight of the animal. Curcumin is the active compound in turmeric. Thanks Don. Turmeric is great for RA. Do please keep sharing your feedback. Which is the best for diabetic patients? turmeric or curcumin. If some body is taking curcumin is it necessary to take with Black pepper powder in order to enhance bio-availability. Are you Ahmedabad based? I am post graduate medical doctor trained from india. Currently living and working in Australia. I highly impressed by regular posts without fail read all those info. Awesome. Great to hear from you. Shifting places soon. Thanks. But I can’t understand your answer? Whether or not you are Ahmedabad based ?. Could please reply in a simple way about my query. I have been using fresh turmeric ground with purified water and fresh chili pepper water in a ratio of 3 parts turmeric to 1 part chili pepper water for the last 5 years to help combat my astrocytoma. This mixture was prescribed for me by a practitioner of Hawaiian medicine. My cancerous tumor has not grown in the last 5 years; best of all, my o’lena (Hawaiian for turmeric) mixture is great for relieving the migraines that accompany my brain tumor. It is also fantastic for curing respiratory ailments. Thanks Debra for sharing your experience. But you may get better results by switching from chilli pepper (which does not have piperine) to black pepper which has piperine which helps a lot in absoption of turmeric. I always thought that turmeric and curcumin were the same plant, and that one is the older name for the basic root or plant. Thanks for taking the time to sort this out. To me the best choice is to use turmeric, tho both are good products of the same plant. Cucrumin is the active compound in turmeric. Curcumin is responsible for most of turmeric’s medicinal values and is what gives turmeric is bright orange color. Confused, Turmeric increases the production of Perforin thereby initiating the bodies immune response, however, Curcumin assists in the CONTROL of pain and immune response. These two entities sound like they function opposite regarding the immune response I have Chronic Inflammatory Demyelinating Polyneuropathy which is believed to be Auto-Immune. I do not believe I want something (Turmeric) to stimulate an immune response. Am I correct in thinking I should take Curcumin????? Addie, people with RA have benefited by taking turmeric as it is known to tackle inflammation better. I would suggest you take turmeric. Thank you so much for your reply; I will follow your advice. Subject: Re: Comment on Should You Take Turmeric or Curcumin? Which is Better? Addie ….. this is over a year ago post, but saw that you have CIDP. Was wondering if you found any relief? … OR …. if the turmeric aggravate the CIDP. My mom has CIDP, and osteo, and she recently heard about turmeric for the osteo. I’m a pharmacologist, and like you, I have a concern regarding any stimulation of an immune response. Given that CIPD is nerve pain, not pain from inflammation factors, I wouldn’t expect turmeric to be of little benefit, but it may help with the OA pain that seems to dwarf the CIDP stuff. I have Rheumatoid arthritis…….which is best for me ?……..Is it Tumeric ? My wife aged 58, used curcumin (Theracurmin – a higher bioavailable form ) for a month for her joint pain. she got relieved from her joint pain now. A higher bioavailable form of curcumin formulation may provide faster relief. Hi KeshavK …..where can I buy (in Australia) the suggested Turmeric BCM-95 appears that 500mg twice a day for rheumatoid. I could ask my local Mountain Health Food shop in Ferntree Gully Victoria Australia to order in or even be Australian distributor. Hi Heather, we have not suggested or recommended it. Its just that studies have found it and we have reported it. Not sure where you can find BCM-95 in Australia, maybe online? Thanks Dr. Paulraj, I would still suggest taking turmeric powder and use black pepper and fats to enhance its absorption that taking curcumin alone. I am a regular user of curcumin for my colon cancer for more than a year. I am now cancer free for the past four years. Earlier I was using curcumin-peperine extract supplement. As I faced severe constipation, I stopped peperine curcumin and switched over to nano curcumin. I feel comfortable now and continuing the same. peperine may not suit to all and may have some side-effects – that is my observation. 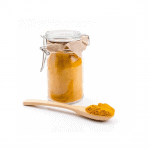 I read a lot about using whole turmeric powder and how to increase its bioavailability. I should try whole turmeric powder to get the benefit of all active ingredients in it. Like to know about making more bioavailable turmeric. Hi, great! Which brand of nano-curcumin you used. And yes curcumin seems to be better choice in disorders such as cancer as compared to turmeric. I am using ‘CurcuminRich’ – Theracurmin’ a product of ‘Natural Factors – Canada. Hi Heather, people with RA heave benefited vastly by taking turmeric as it helps a lot in inflammation and pain associated with it. I would suggest you take turmeric powder.